A new dawn for Chiltern! 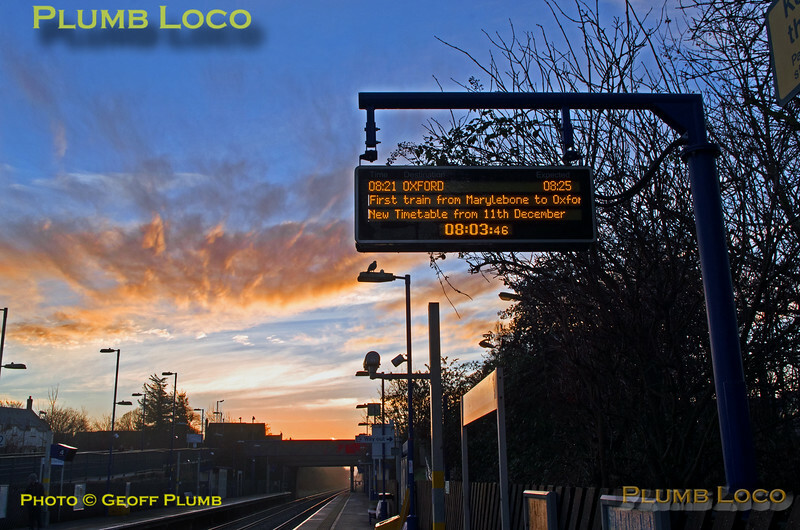 The sun is about to clear the horizon at Haddenham & Thame Parkway station as the Passenger Information Display flags up the 08:21 train to Oxford, billed as the "First train from Marylebone to Oxford", though sadly, not all the display showed at once in the scrolling message. The train in question was 1T11, the 07:35 from Marylebone to Oxford Platform 1. 08:03¾, Sunday 11th December 2016. Digital Image No. IGMP22251.